Grand Canyon - Super Inky! DyaDya Ethan and Tyotya Jess and my best friend Violence invited me to Utah for part of the summer. 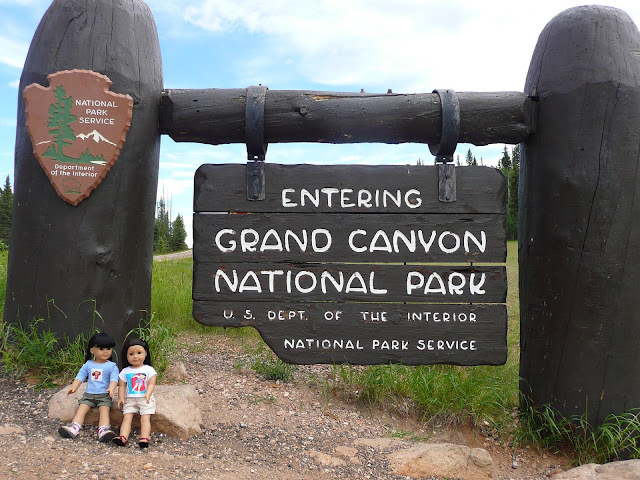 I knew we'd also be vising the Grand Canyon while I was here, and Violet and I were so excited! Both Violence and I are pro Junior Rangers, we've become Jr. Rangers at all the parks we've visited together, and that's a lot of parks! On Friday we left Utah and and entered Arizona! Violence hadn't ever been to Arizona, and I couldn't remember if I had. Either way, exploring a new state is totally awesome. Pretty soon we entered the prettiest forests, there were HUGE meadows everywhere and pine trees all around. Then we slowed down to enter the park. Violence and I wanted a sign near the park entrance, like always! Once we got to the park we checked in. Hurrah! 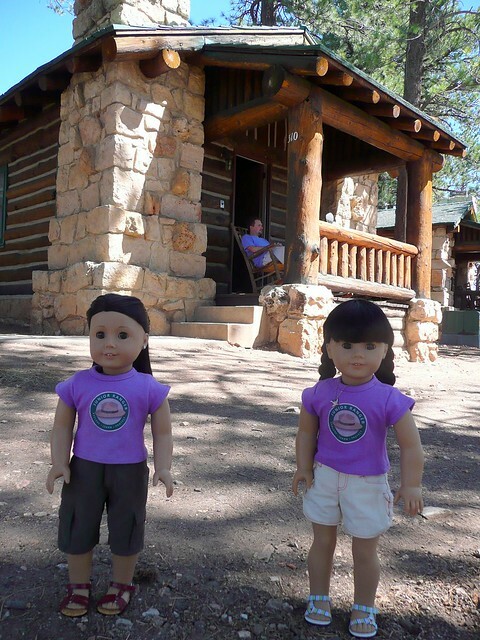 DyaDya Ethan and Tyotya Jess rented a little cabin on the Grand Canyon rim! It was so perfect for Violence and I because it was close enough to a lot of the trails. We could even hike alone! Plus the Grand Canyon North Rim Lodge was so so pretty. 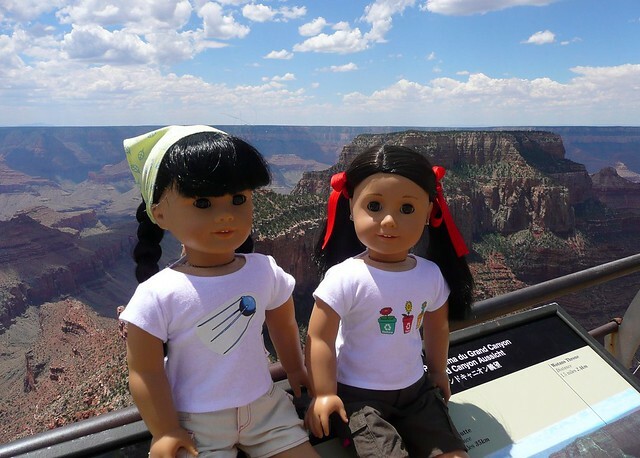 Violet and I loved all the old radios, the sculpture of Brighty the mule and the patios with really neat canyon views. Over the weekend we went on a lot of really neat hikes! On one hike we even saw mules on the trail! One was really funny and had his tongue sticking out like he was really tired. He was so cute! 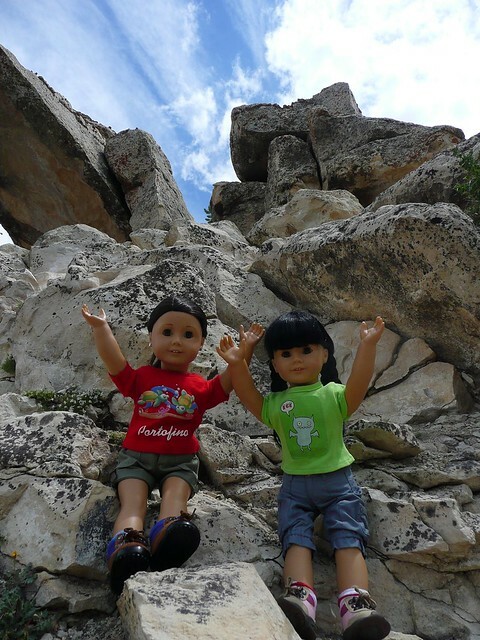 Don't we look awesome on our hikes? And check out the view. When DyaDya Ethan and Tyotya Jess wanted to relax at the cabin Violence and I worked on our Jr. Ranger booklet. This was a fun one because in once activity we had to be animal detectives. We saw lots of animals down there, mostly fat squirrels hanging around our cabin. On the last day we said goodbye to our little cabin on the rim and said goodbye to the lodge. Before leaving though, we got our Jr. Ranger badges! We have lots more photos from our trip that we'll upload into an album soon! Until then, you'll have to wait! Awesome photos! 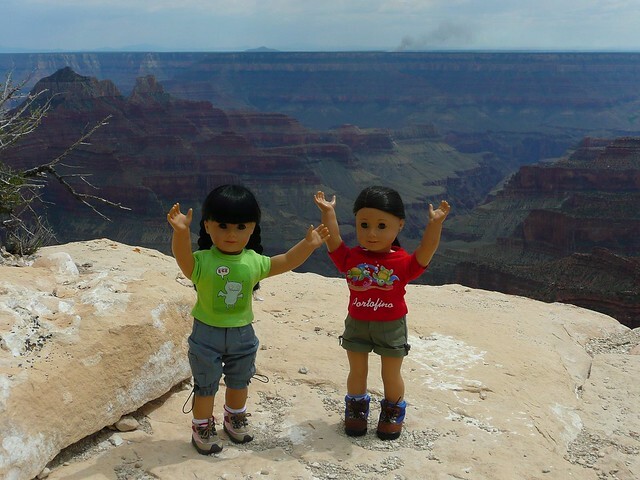 That's neat you got to go to the Grand Canyon! And good job on earning the badges! I really want to go to the Grand Canyon. Tía has been there many times and said maybe next spring.